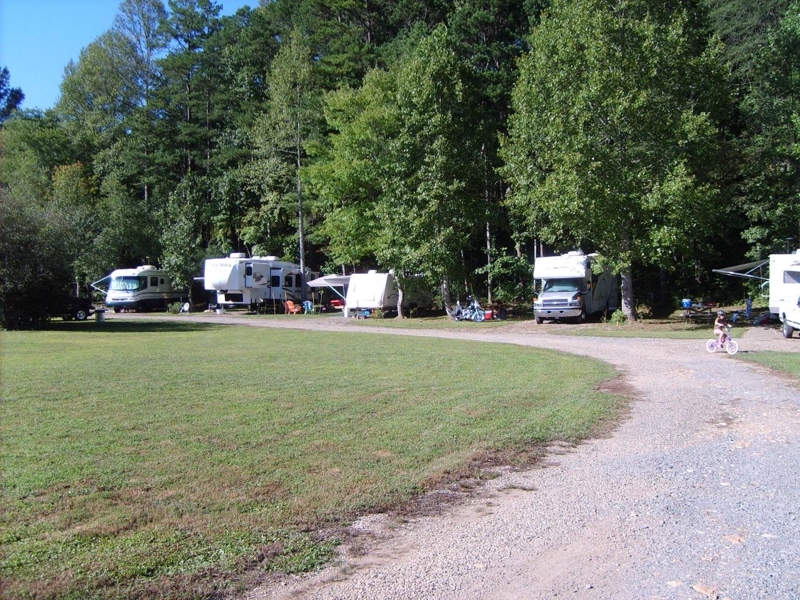 Did you see all those campers at the Persimmon Creek Campground in Murphy, NC? 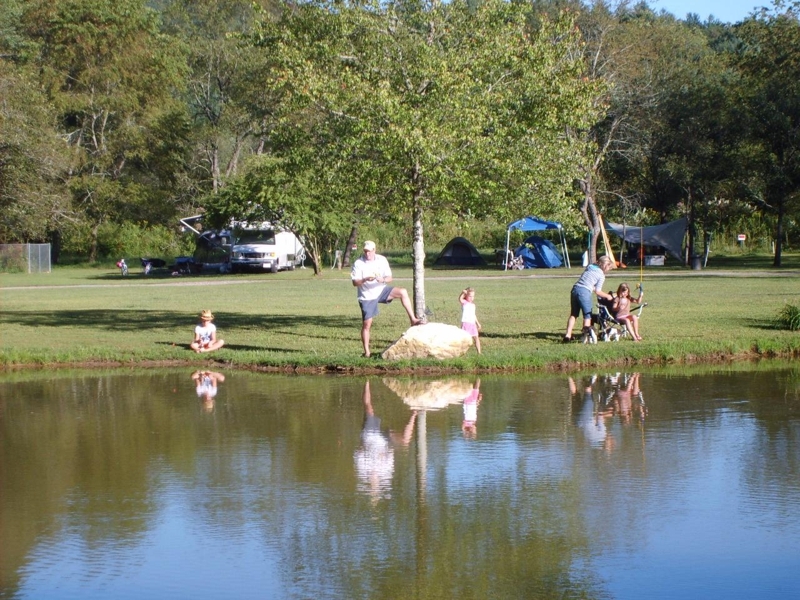 Persimmon Creek Campground officially opened on June 26, 2009. The first stage is completed with several full hook-ups, a dump station and lots of tent sites. Owners, Tony and Karen Tipsword live on site, in a cabin they salvaged and are doing all the work themselves; including building all the picnic tables from their own sawmill lumber! In their previous lives, Karen was a schoolteacher, and Tony was a grader. Together they embarked on a new life in a place they could live and work with each other and their animals. (This is so similar to why we moved to Murphy, NC too.) 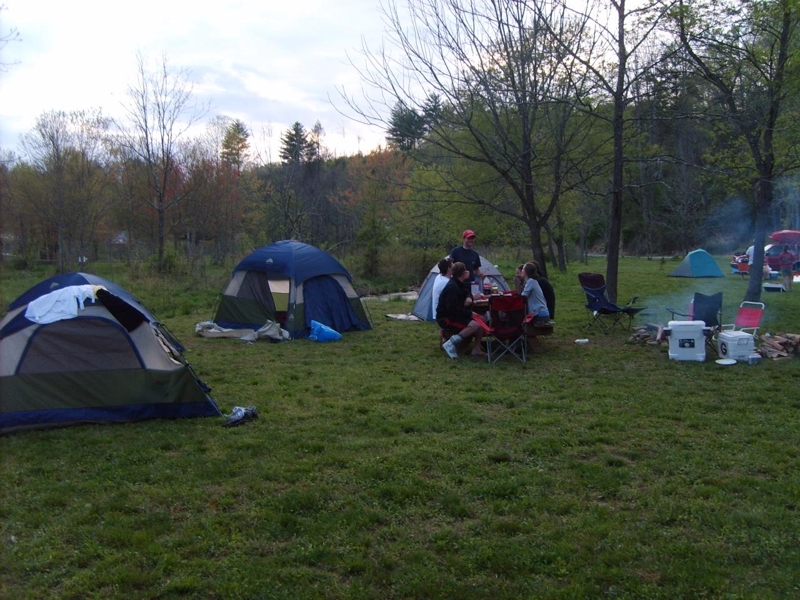 As campers, they disliked the trend toward miniscule sites and parking lots. Having grown up camping with their families, they wanted to return to the "old fashioned" ideal of camping: truly being outdoors and in touch with nature. And this is exactly what they’ve achieved in Persimmon Creek Campground! Growing up some of our favorite vacation memories were camping out in the woods with family, fishing and roasting marshmallows on a stick over the campfire. Tony and Karen’s intention is to grow slowly, up to a certain point, and never to grow too large. They want to always be able to handle the business themselves, know who their customers are, and treat them like family. So come visit Tony and Karen at Persimmon Creek Campground to relive your childhood memories or to make some new ones while you’re here in the Murphy, NC Mountains!